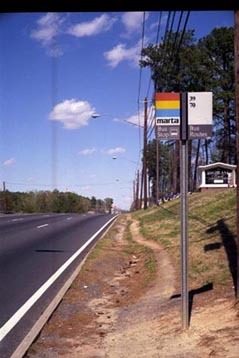 Darin at ATLUrbanist says these paths are a stark illustration of inequality built into the region’s transportation system. Those cars are in spaces that are mandated as part of minimum parking requirements — requirements that don’t seem to have a relative in regard to pedestrian infrastructure at bus stops. 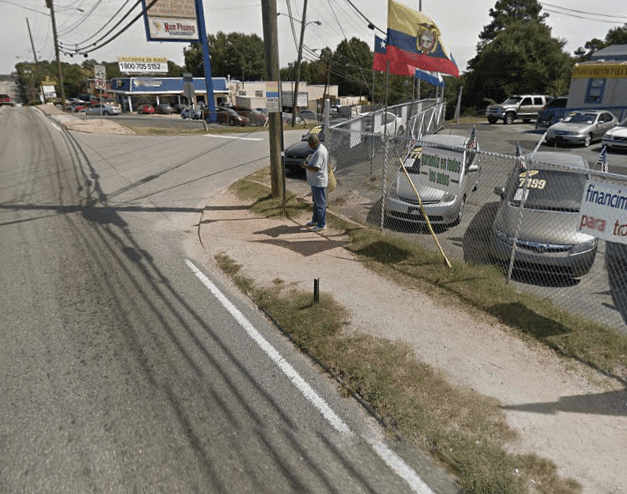 This is a good metaphor for the second-class state of pedestrians in car-centric places throughout Metro Atlanta. Cars receive a luxurious abundance of infrastructure for both moving and parking, while pedestrians and transit users fight for a safe place on the edges. You can see “desire paths” like this — where people have worn down the grass in a median from repeatedly walking through it — along many roads in the metro. 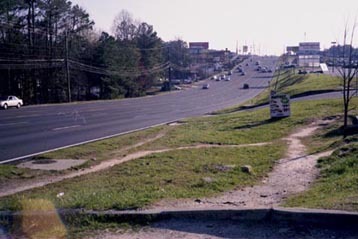 I remember seeing them along Canton Highway in Cobb County, where I grew up. Elsewhere on the Network today: Family Friendly Cities notes that Seattle is opening a new downtown school. And The University of Oklahoma Institute for Quality Communities shares before and after maps showing the damage done by highways and urban renewal in Northeast cities.